It’s Spring Cleaning time here in the CS:GO office, and we’ve been busy. In fact, if you were following Reddit last night, you’ve probably already got an idea of just how busy. With a display of reflex, cunning and teamwork usually reserved for the game, some of the CS:GO community managed to get an early look at today’s update. But for those of you who didn’t sneak a peek yet, we might as well make it official. 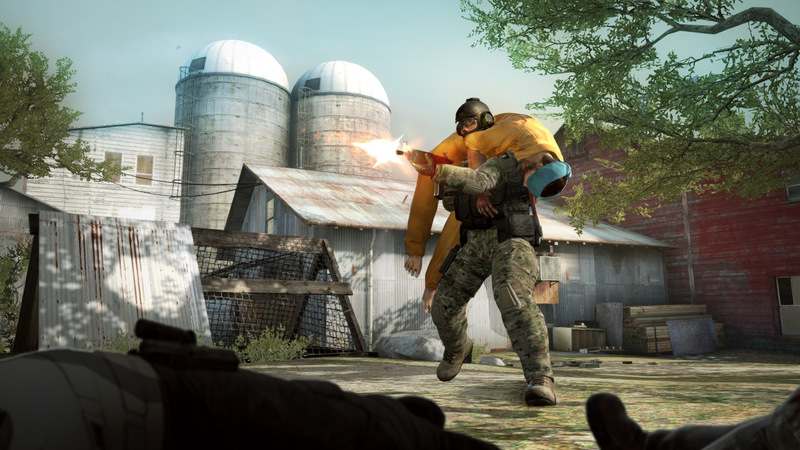 First up: We’ve added some new twists and improvements to “Militia”, one of Counter-Strike’s most longstanding and popular hostage rescue maps. Available in all game modes, “Militia” has the same look and feel as the map you remember, with a few new surprises along the way. We think you’ll enjoy the improvements. 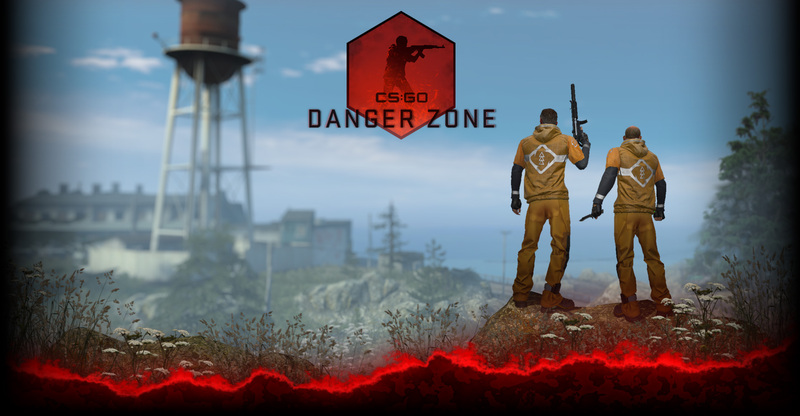 We’ve also overhauled the Main Menu, making it easier than ever to find and join your friends in CS:GO. 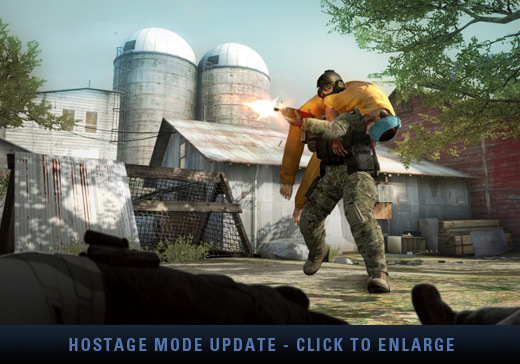 Lastly, and perhaps most importantly, we’ve given CS’s Hostage Rescue Mode a big upgrade. This update balances out the gameplay so it’s not such a cakewalk for the Terrorist team anymore. The tweaks should add some new challenges for both sides and provide a more engaging and competitive experience for everybody. How? Well, for starters, there are only two hostages now. (They’re not hiding out where they used to be, either, so check your radar.) Another tweak: CTs now only have to bring one of the two hostages to the Rescue Zone to win. If you’re thinking to yourself, “Hold on, now it sounds too easy for the CTs,” we completely agree: So to even it back up a little, you’ll have to untie your hostage first and carry the lazy bum the whole way to safety. Also, apparently the terrorists were feeding these guys nonstop, because there’s the additional challenge that carrying a hostage is going to slow you down a bit. You’ll need to strategize and protect if your CT team wants to get a hostage to the Rescue Zone unscathed. And remember: hostages can’t get hurt in a firefight, but stray bullets that hit a hostage will cost you. If you’re thinking to yourself, “Wait, now it sounds too hard for the CTs again,” whoa, hold on. You didn’t let us finish. Picking up a hostage will earn you extra time on the clock. And for you CTs out there who don’t like getting shot at while fumbling with knots, buying a Rescue Kit will reduce the time it takes to untie a hostage. Be sure to let us know what you think on the CS:GO forum. As always, we appreciate the feedback, and enjoy working with the community to make the game better.